Brian P. Dunham, MD studied fine arts as an undergraduate at Dartmouth College. While a medical student at Stanford University, he became interested in both medical illustration and surgery. After graduating from Stanford in 1998, he had the good fortune of doing his otolaryngology/head and neck residency at Johns Hopkins, where he was able to study independently with the Art as Applied to Medicine Department. Dr. Dunham graduated from Johns Hopkins in 2005 with advanced surgical triaing in otology/neurotology and went on to complete a two-year pediatric otolaryngology fellowship at The Children’s Hospital of Philadelphia. During the second year of his pediatric otolaryngology fellowship, he returned to Johns Hopkins to further his studies in medical illustration. 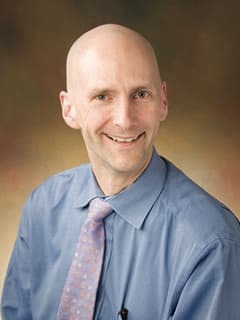 He is currently an assistant professor in the Division of Pediatric Otolaryngology at The Children’s Hospital of Philadelphia, a professional member of the Association of Medical Illustrators, and an adjunct assistant professor in the Department of Art as Applied to Medicine at Johns Hopkins. With the generous support of his division at CHOP, Dr. Dunham, along with Dr. Kavan and Eo Trueblood, founded the studio. He serves as its director and oversees its academic mission. Ladislav Kavan, PhD, is an assistant professor at the CIS Department, University of Pennsylvania. Prior to joining Penn, he was a senior researcher at ETH Zurich and research scientist at Disney Interactive Studios. Ladislav’s research focuses on real-time graphics and animation. His core area of expertise is deformation modeling, in particular skin deformation for virtual characters, often known as skinning. His other areas of interest geometry processing and physically-based simulation, e.g., how to combine data-driven and physics-based techniques. Ladislav also has experience with quaternions and related algebras (dual quaternions), subspace methods, discrete differential geometry, collision detection and real-time rendering, especially in the context of computer games. Most recently, he is studying applications of real-time graphics and geometry processiong in medicine, anatomically-based modeling and simulation of the human body. Eo Trueblood is the studio’s lead illustrator and a member of the Division of Pediatric Otolaryngology at CHOP. Eo earned his Master’s degree from the Department of Art as Applied to Medicine at John’s Hopkins School of Medicine. In his professional career, he as worked closely with surgeons, nurses and researchers, creating custom visual solutions for their specific needs. Eo’s illustrations can be found not only in international journals, but also on departmental websites, patient education pamphlets and digital applications. Eo is a professional member of the Association of Medical Illustrators, and one of the founding members of the studio. Ask us for more information about our medical illustration services.